Data is from the September 2018 Econsultancy report titled "Dream vs. Reality: The State of Consumer-First and Omnichannel Marketing" in partnership with MediaMath. 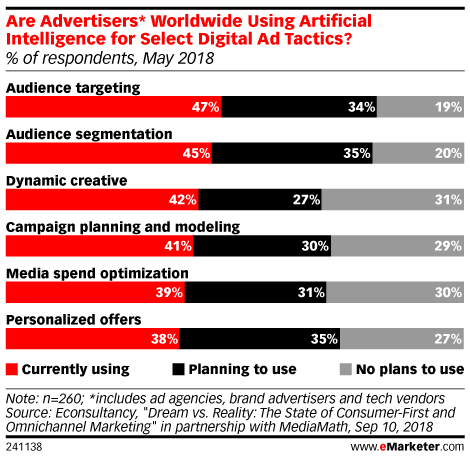 446 ad agencies (17%), brand advertisers (72%) and technology vendors (11%) worldwide were surveyed online during April-May 2018. MediaMath is a global marketing technology company.